timer (ie. 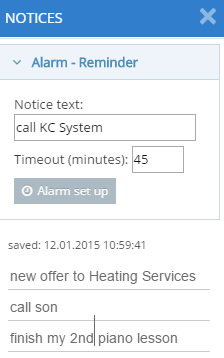 a countdown timer) – if you have call back someone after half an hour, you can set up speed alerts to this timer. After this time warning appears with the selected text. Warning occurs even when minimized browser or when viewing websites other than NET.Notes.